The trend for softer prints on apparel has been the trend for over a year now. Most Clients are requesting a vintage, distressed or worn look and/or feel to their screen printed shirts. Honestly we don't blame em, piling ink on a cotton T-shirt can make it heavier and in Phoenix that is not wanted. Thankfully we have the knowledge to produce soft prints that will be comfortable and enjoyable to wear for work, fun or special occasions. You are guaranteed to get exactly what you want from Fast-Trac Designs. Contact Fast-Trac Designs to get your screen printed apparel on Track! Our customer Beck Electric brought us his trailer to wrap with his company information and a design with depth. The info being the most important is displayed in bright colors that are high contrast against the dark desertscape background. The wrap was printed on 3M ControlTac, designed and installed by Fast-Trac Designs. Overall the owner of the trailer was highly satisfied with the finished product and we look forward to the next! Come on over to Fast-Trac Designs for your wraps, t-shirts, signs and graphics! 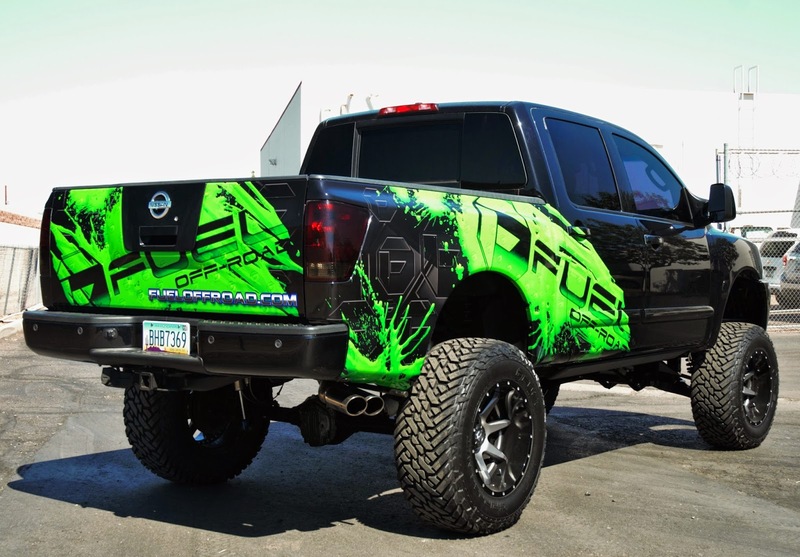 Get your custom vehicle wrap with Fast-Trac Designs. See us on Facebook and Twitter for production updates and special offers! Fast-Trac Designs offers many services other than vehicle wraps and signs. We have a large client base that we provide our screen printing services for and many of them also use us for all of their graphics needs such as vehicle wraps, business cards and banners. We offer our screen print services to businesses as well as the general public. Here at Fast-Trac Designs we are capable of creating custom designs that will bring your apparel to life and help you stand out from the rest. LIKE us on Facebook for project updates and current specials.